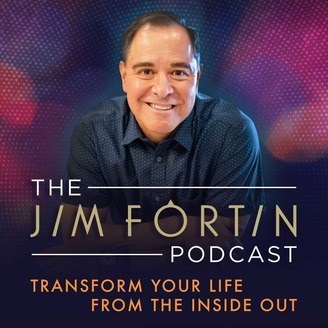 The Jim Fortin Podcast is hosted by Jim Fortin- widely considered as the leader in subconscious transformation. 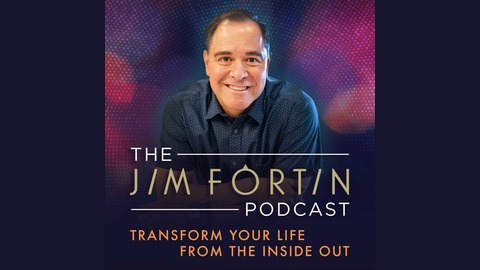 He's coached super achievers all around the world for over 25 years and in this podcast you’re going to start learning how to transform your life from the inside out. No rah rah motivation, no hype because this podcast is a combination of brain science, transformational psychology and ancient wisdom all rolled into one to take your life to levels you’ve never thought possible. If you’re wanting a lot more in your life, to feel better, to heal, to have peace of mind, to feel powerful and alive and to bring more abundance and prosperity into your life then this podcast is for you because you’re going to start learning how master your mind and when you do that, anything you want then becomes for you possible for you. If you’re like most people you go through your days never having enough time, always playing “catch up” and wondering what you can do differently to get things done, right? If this is you, then you’re going to love this podcast episode because getting everything done that you need to is not about managing your time, it’s about prioritizing your commitments and values. Ep 10: I’m stuck in my old identity, procrastination and self sabotage. How do I get out?